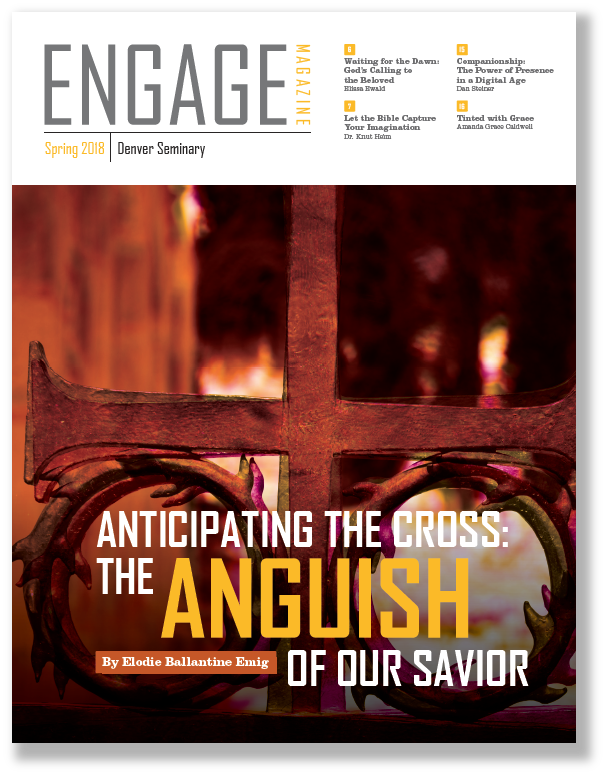 Welcome to Engage Magazine, a biannual publication of the Seminary. 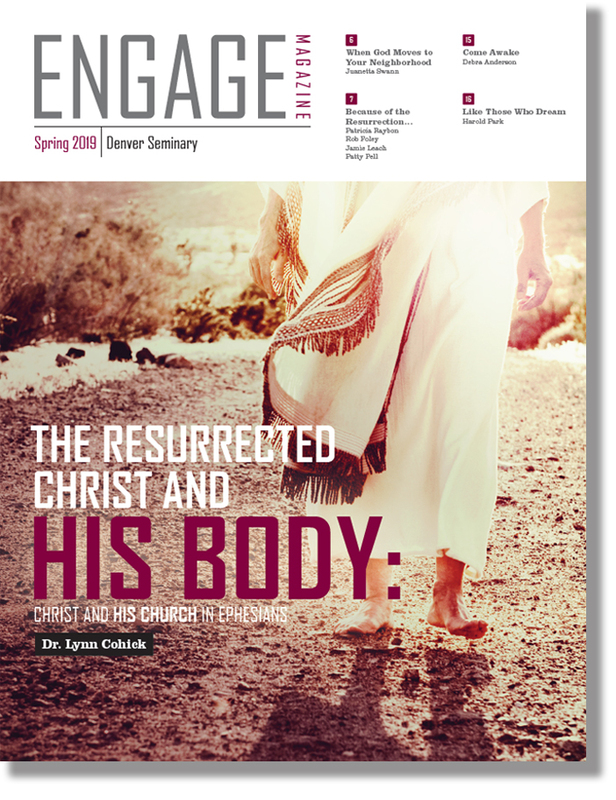 Our Spring 2019 issue features "The Resurrected Christ and His Body: Christ and His Church in Ephesians," by Dr. Lynn H. Cohick, Provost/Dean and Professor of New Testament. In addition, a number of staff, faculty, alumni, and board members reflect on what the Resurrection of Jesus means to them. Along with these articles from our faculty, you’ll find contributions from current students, stories of alumni around the globe, and news and events from Denver Seminary. 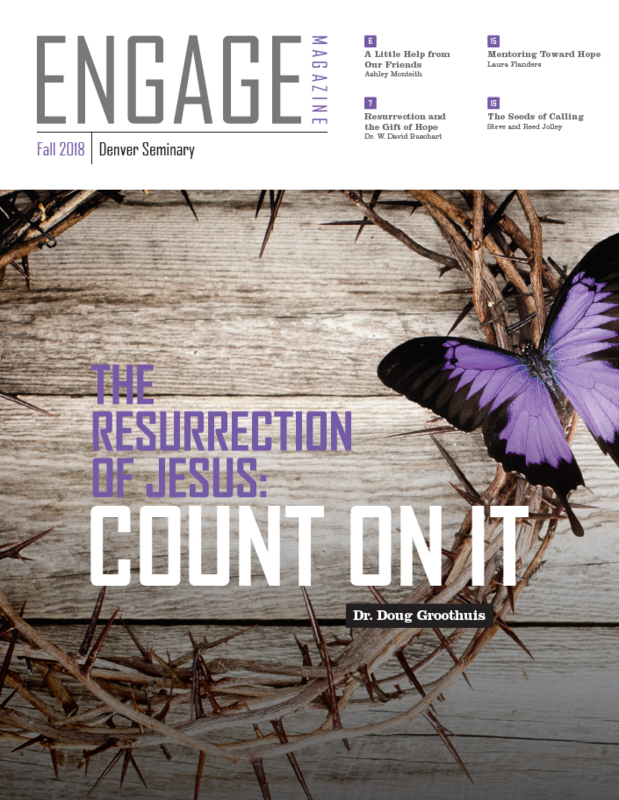 Email us and provide your mailing address to be added to our free subscription list for Engage Magazine. To receive email updates about the magazine, subscribe below.